Are you really surprised? I think I have written about how the effect of Facebook usage on relationships before, but I can’t seem to find the entry anymore. In any case, this “new” development is the result of a survey conducted by Divorce-Online, an – you guessed it – online divorce service in the UK. Let’s be honest, as much as we diss Facebook and whine about it, it is merely a venue or a tool to interact with other people. How it is used depends on people. Extending the argument, you can even blame Twitter for your problems. As a matter of fact, Twitter also played a minor role in the survey. The results showed 20 mentions of Twitter in divorce petitions. Do you want to bet that this number can easily go up in 2012? 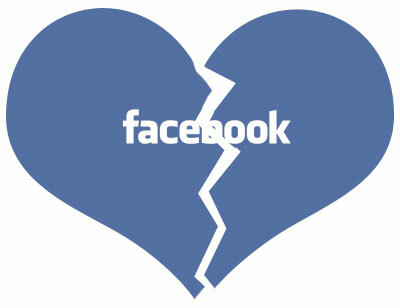 The next time you want to blame Facebook – or any other social networking site – for your relationship issues, try taking a look at yourself. Or go take on Divorce-Online’s services if you’re in the UK! Another alternative – download the app Last Night Never Happened. Personal responsibility has become a matter of finding someone or some entity to blame other than ourselves. Conversely, social networking is a very good tool to bring out the very worst in people. I do blame Facebook for a lot of the evils now prevalent in society. It panders to the ignorant in the sense that so many don’t seem to understand that what they put there reveals so much about them, things they probably wouldn’t tell anyone in the real world. How is this different than any snake oil perpetrated on the public at any other time? The assumption that all people have the inherent ability to use common sense in social media is flawed. In fact I believe that not really understanding the ramifications of personal data on Facebook is essentially unethical practice on the part of Facebook. Maybe it is time we had classes in Facebook usage. Facebook 101. Or a license required to use Facebook. Or maybe we should just learn to suffer fools.